There’s no getting around it - Alaska is far away. Like really far. And, it’s not exactly the easiest place to get to. And, it can be cold. Like, really cold. But, despite all of these facts, it is an amazing, gorgeous and majestic place and it should be on your bucket list. While I found Alaska.org as a handy planning tool, I wanted to share my recommendations as well. There are countless amazing things to see and do, but I listed my favorites for you below. If you’re not a big fan of the cold, I highly recommend going during the summer. The nights can get a bit chilly, but the days are gorgeous. And long. We went over Memorial Day Weekend and didn’t see darkness once while we were there. 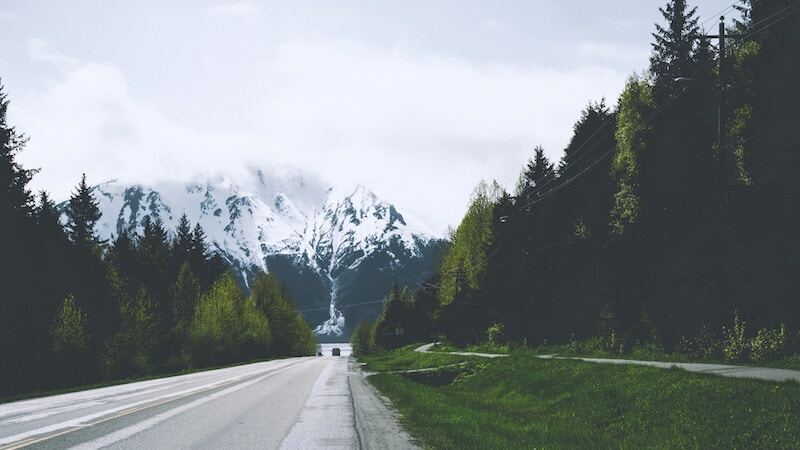 This was the first thing we did in Alaska and I think we pulled over a couple dozen times to just take in the beauty. It is the most majestic and magnificent place I have ever been and this drive exposes you to some of its splendors. There are snow capped mountains, hundreds of lakes and creeks and loads of wildlife. If you’re able to time it correctly, you should definitely see the tide come in at Beluga Point. The drive will take you all the way down to Exit Glacier, which is another stop I definitely recommend taking. While there are many glaciers in Alaska, this one is cool because you can walk right up to it. If you have time, do the long hike up to Harding Icefield - but be warned, this is a day long activity in itself. We stayed near Seward and decided to go on a “half day” kayak trip to Aialik Bay. Be warned, half day is still 6+ hours. These trips come with a hefty price tag, but if you’re able to pay for it, it’s an amazing trip. While we were kayaking we even saw glacial calving! Truly a once in a lifetime experience. We opted out of a typical tour and decided to explore the wilderness on our own. It was amazing, but be prepared - it’s very remote. We didn’t see a single other person or have cell service the entire time we were out. We did, however, see quite a few large moose. There are a TON of free camping spots in Alaska. You can basically camp anywhere, as long as it doesn’t say “no camping”. This was an amazing way to really take advantage of all the beauty Alaska had to offer, and save a TON of money. If you don’t have camping gear already, there are loads of places you can rent from. Planning your own trip? I used this site for all my planning and it was UNBELIEVABLY helpful! Happy planning!